Superior Product Development presents lessons learned by actual firms whose high-value, robust and timely products have been technical and market successes. Clement C. Wilson is Professor of Mechanical and Aerospace Engineering. Michael E. Kennedy is Graduate Research Fellow. Carmen J. Trammell is a faculty member in the Department of Computer Science. All at the University of Tennessee, Knoxville, USA. 2 The Product Development Process. 4 Customer Future Needs Projection. 5 Technology Selection and Development. 6 Final Product Definition and Project Targets. 7 Product Design and Evaluation. 8 Marketing and Distribution Preparation. 10 Product Manufacture, Delivery and Use. 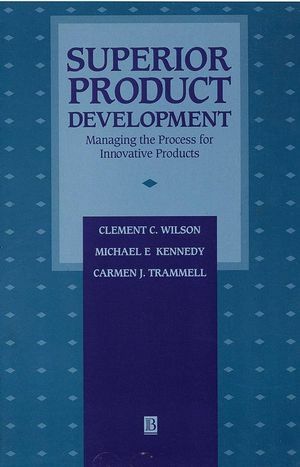 11 Leading and Organizing Product Development. Broad scope covers the process from product idea through to customer use.